Semi-flexible 4 inch curved blade. 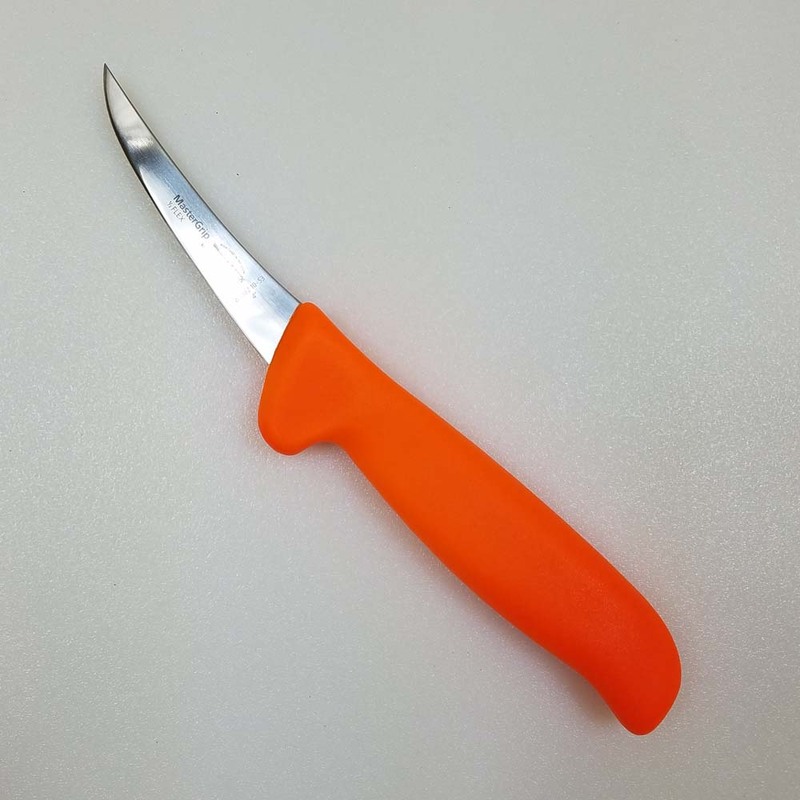 Orange handle. Designed and manufactured for the professional meat cutter or butcher.